1) This is the first mention we have of the huge black bear wandering around the forest of Forks. What was your first impression of this information? Did you think it would be as important as it turned out to be? I knew it would come up later. I've learned from watching a lot of TV and reading books, that some insignificant detail introduced quickly, then not brought up for a while will always be huge, lol. 2) What did you think of Mike in this chapter and his behavior toward Bella? Were you surprised that he wasn't trying to "make the most" of working alone with her? I think even Mike knew that it was best to leave Bella alone. She was, and possibly never going to get over Edward. Well, in many years. 3) What did you think of Bella's motorcycle plan? I knew that eventually progression of doing dumb and dangerous things was inevitable. 4) When you first saw Jacob through Bella's eyes, what did you think? Did you like him? Did you think he would become as important to her as he did? I could see it was easy to be friends with him, and he was easy to talk to just like it was in Twilight. I could see she desperately needed him and that he would indeed become very important to him. 5) Were you surprised by Bella's complete reluctance to leave Forks or did you suspect it given Edward's minimally lingering presence? Why or why not? No, I was not. I knew should not be able to leave Forks just yet. 6) This is the first time we see Billy without Edward around or the threat of Edward looming. Did your impression of him change at all from Twilight? Why or why not? It was nice to see him more relaxed and not some hidden agenda. I started thinking there was something more going on. Maybe it isn't a bear? I think Mike would've given up trying by now. She was 'gone' for such a long time, he wouldn't try anymore. I thought it was logical. I thought it was smart. She would get the adrenaline needed to hear Edward, but also didn't really put herself in danger. I liked him and I sensed he would become important for her as a friend. Off course she wouldn't want to leave. Going somewhere where she hasn't seen him, he would totally disappear. Yes, I thought he was nicer now. Not so annoyingly over-protective. I thought it was a werewolf or something... I had a feeling it would be important. No, I wasn't surprised at all. I am sure that after several months of Bella being comatose, he has given up on trying to impress her. Insane. I feel bad for her, but I don't think she should be doing this. I knew of the plot, so I knew he would become important. And Jacob was awesome, as usual. I like Jacob. I understand her reluctance, though, I do think that if she stays in Forks, she'll be sad for the rest of her life. I understand how important Edward was to her, but it's quite sad to see her like that. Yes, it did change, actually. 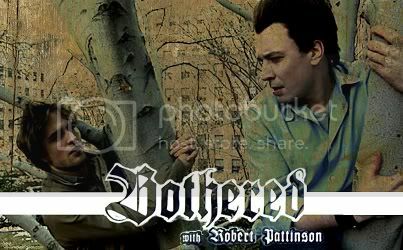 He seemed much happier now that the Cullens were gone, and much kinder towards Bella now that Edward was out of the picture. I liked Billy here. It was clearly what Bella had heard in the woods. It was also clearly important. SM's writing isn't that subtle; she wouldn't have mentioned it if it didn't have significance. No, I think it was like Jessica's reaction. Bella in this state was too much trouble. Insane, especially considering how clumsy she is. I thought he would help her. I didn't think she'd leave it simply because it was where he had been. It didn't change, no. He didn't like the vampires. The vampires have gone, so now he is more himself. I just assumed it was a bear or that it was put in there for a reason. No, cause I felt like at this point, he kinda gave up b/c even though EC was gone he was use to her not being available. I could see why she was doing it. Wanting to live dangerous in hopes that she would think she was hearing his voice or that he was in the forest and was going to jump out and rescue her. At this point I wasn't bothered to much by Jacob. I did like him although I felt bad that he liked Bella in a way that she didn't feel the same. I felt Jacob was important for Bella as a friend. At this point in the book you really not sure how strong this character is going to be in the series, so to answer your ? No I didn't think he was going to be as important to the story and a strong supporter for Bella at this point. I was not surprised by her reluctance to leave Forks I would have done the same thing. She had hope, can you blame her? No my impression didn't change. He grew up knowing about the treaty and had it instilled in him. He is who he is not everyone is going to agree on everything in life. You have to accept that person or not.